Trackmobile Inc., a Marmon Group/Berkshire Hathaway Company, is the originator of the mobile railcar mover, a vehicle with a bi-modal transport system providing an efficient and economical means of switching railcars within industrial plants and railroad terminals. More than 10,000 Trackmobile Mobile Railcar Movers are in service in over 60 countries. Built in narrow, standard, or wide guage with the specific coupler type required by each system used in every conceivable application. 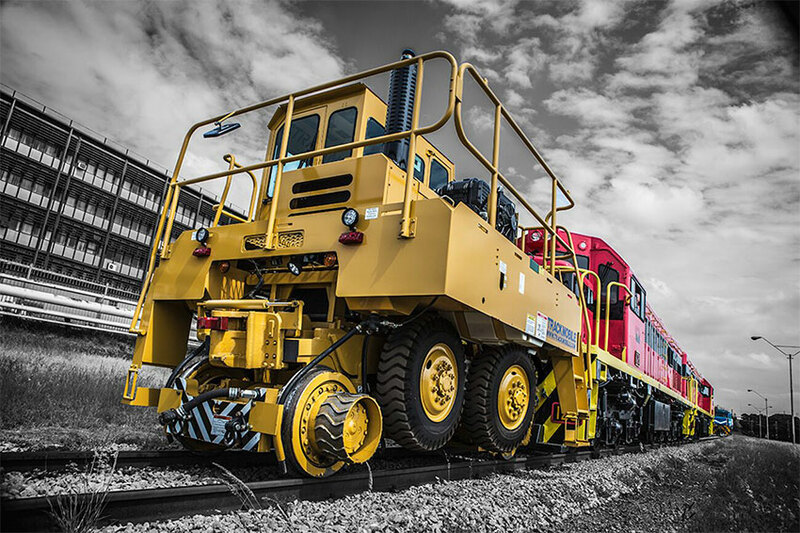 This wide range of applications attests to the versatility of the Trackmobile product line and to the Trackmobile policy of producing special features and special machines to meet the customer’s requirements. Tractive efforts range from 27,014 lbs to 48,500 lbs. 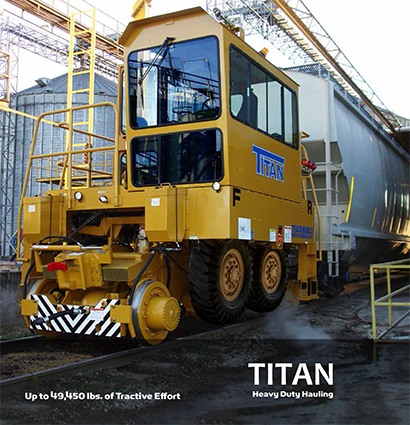 With a weight of 49,000 lbs and a 260 HP Tier III Engine creating tractive effort from 32,350 lbs to 48,500 lbs, this heavy duty Trackmobile will handle your larger railcar moving needs. 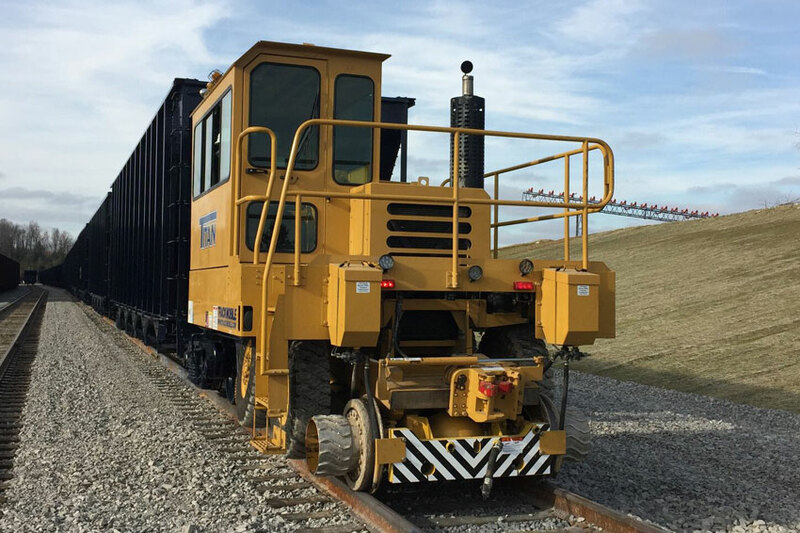 With a weight of 35,720 lbs and a 165 HP Tier III Engine creating tractive effort from 28,123 lbs to 45,870 lbs, this midrange Trackmobile will handle your railcar moving needs. Ballast package available for additional weight and tractive effort. 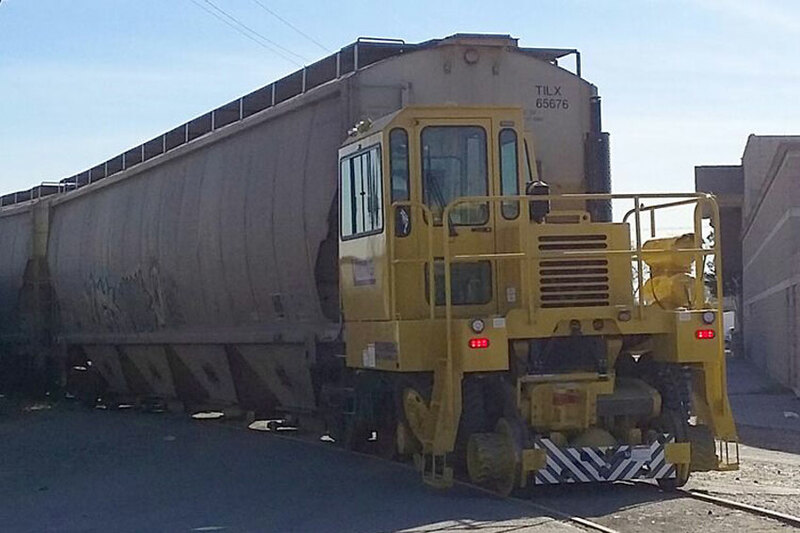 With a weight of 34,360 lbs and a 130 HP Tier III Engine creating tractive effort from 27,014 lbs to 44,850 lbs, this low range Trackmobile will meet your minimal railcar moving needs. Ballast package available for additional weight and tractive efforts. 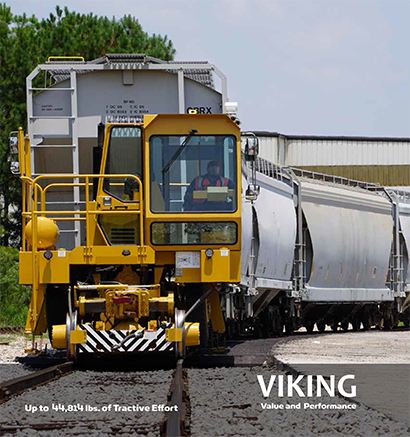 The Viking is Trackmobile’s nimblest capacity model. 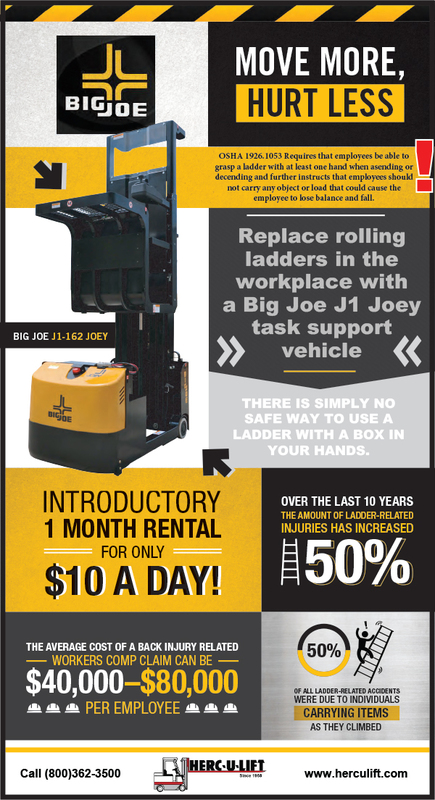 It is the replacement for 75% of the original railcar movers sold. See a Trackmobile in action! 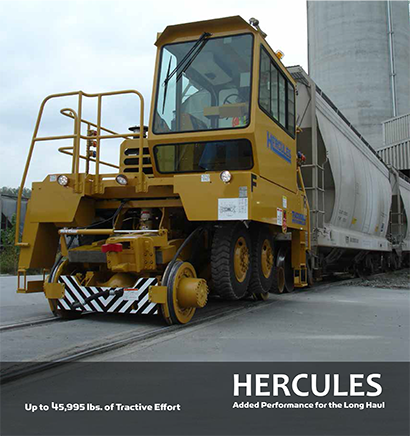 Herc-U-Lift offers railcar mover support in Minnesota, Wisconsin, Upper Peninsula of Michigan, North Dakota, South Dakota, and Iowa. Our coverage is one of the largest in the nation. Resident Technicians located throughout the Upper Midwest in order to provide quick and timely repairs. Got a Question? Contact a knowledgable representative!